Grupo Nelson has been an important part Mexicali’s cultural history. 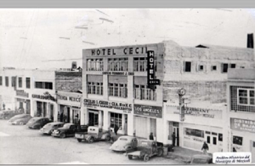 We own buildings that have been declared an important part of Mexicali’s cultural heritage, and even though some of these buildings are protected by the National Institute of Anthropology and History and must retain their historical appearance, we´re able to use them as multi-functional buildings and spaces. El Tecolote, a building that once housed a bar and casino during the US prohibition years is now a 5-story high parking lot, and a convenience store that has kept some of its original underground tunnels and basements as storage rooms. 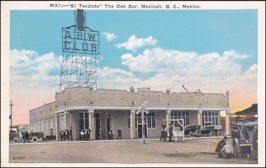 The Mexicali Brewery, which was built during the 1920’s and operated till 1973, controlled 90% of the regional beer market and by the 1940’s started to export Mexicali Brand Beer to the US and Europe. The building burned down in 1985 and in 1988 it was bought by Grupo Nelson and restored using the original design. Today, the building houses several manufacturing and software development companies. Finally, La Chinesca, this emblematic structure was built in 1918 and was the heart of the old Chinese community in Mexicali. Today, this building stores several commercial businesses.